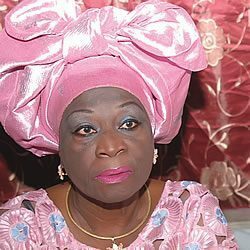 Chief (Mrs) Kofoworola Bucknor-Akerele was Deputy Governor to Asiwaju Bola Tinubu in his first term as Governor of Lagos State from 1999-2003 and is a member of the Board of Trustees of the Peoples Democratic Party (PDP). She will be turning 80 on 30th April 2019. Not many know that she’s married to a Northerner Alhaji Ibrahim El-Yakubu who hails from Kano State. On the conjugal arrangement of her names, Bucknor-Akerele, her father was Dr Oni Akerele, a prominent politician in the First Republic, while her mother’s family name was Bucknor, another famous family in Lagos.